After implementing SEO on your website, it’s really important to maintain certain practices to keep the traction you’re building online. It doesn’t take much, just a little know-how and someone with attention to detail to keep these things updated on your page as you add valuable content to it. While you might have the absolute best intentions in your future work, there are some very black-and-white guidelines on what will work for – and against you in search engine results. Any form of payment for links or mentions is considered a problem by Google. If you’re buying ads and getting links to your site in return, the best policy is to implement a “nofollow” attribute on those links so Google won’t think you’re trying to spam their search results. These are sites that organize websites into hierarchical directories, and these are largely useless today. Not to be confused with local business listing directories, which still offer value from a Local SEO perspective. These are sites that allow you to submit your article content, and they usually include a link back to your site. However, these links are not editorial in nature. You can simply upload the article and no one reviews it, so for that reason, it doesn’t really act as a true endorsement for your site. There is really no reason for you to have many links from countries where you don’t operate, so if you have lots of these, that could be a problem. Disavow ASAP! If you are paying a publisher for clicks to your site, or a revenue share or commission on sales generated by traffic they send to you, that’s considered a purchased link. If you’ve been going to blogs and forums all over the web and posting links back to your site, Google is watching and your punishment is waiting. While there is nothing wrong with exchanging links with close business partners or major media sites. However, if a large percentage of your overall link portfolio comes from link exchanges, that will raise a red flag. So do this only in moderation. 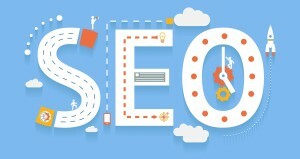 Get in touch with us today and say goodbye to your SEO worries!